The municipality of Estepona borders the area to the west of Marbella and begins shortly after leaving the town of San Pedro de Alcántara. It boasts over 21km of beaches and reaches as far as Manilva. The region is a hugely popular destination for sun lovers with over 320 days a year of sunshine and includes areas such as Los Flamingos, the New Golden Mile and Bel Air. The beachfront town of Estepona, which sits about half way along the municipality, is enjoying a very strong period of renaissance. Originally a tiny fishing village with just 25 families, Estepona town has boomed in recent years thanks to sensible planning. The town now has a number of high-end, modern developments, all within walking distance of the centre. 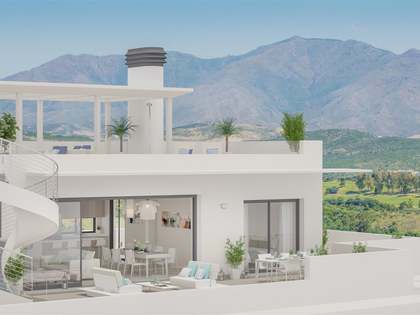 Most towns have no room for construction but this is not the case for Estepona, which actually still has plenty of room for chic, eye-catching and exclusive developments that are beautifully spread out so the area feels very spacious. The town location means that new developments offer stunning views out to the Mediterranean Sea and beyond to the North of Africa. 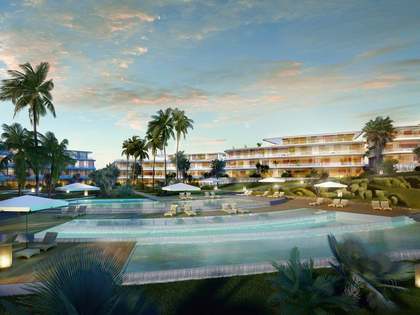 New designs are light and spacious with sizeable terraces to enjoy the magnificent sea views. The facilities in each development are excellent, with infinity pools, gyms, chill out areas, beautifully manicured gardens and the latest technology to keep residents well connected. 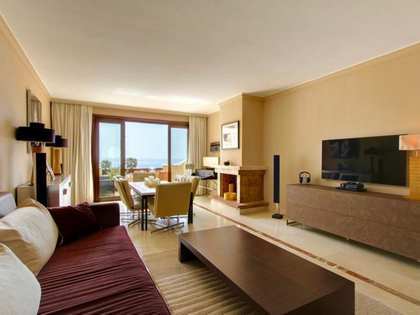 Estepona is a clean, modern and upmarket town with a wide appeal. It is friendly and fun, with great facilities. The up-and-coming town has benefited from significant infrastructure investment and boasts a particularly impressive Paseo Marítimo that can be considered one of the best seafront promenades on the Costa del Sol. People of all nations and ages can be seen strolling along this beautiful promenade at all times of the day. It is the ideal place for a business lunch, with its many restaurants and Chiringuitos, and a great place for families with children thanks to its well-kept playgrounds. There is a large new hospital under construction to boost the local economy, and a number of excellent bilingual schools in the vicinity. A major advantage of living in one of Estepona's new chic developments is being within walking distance of the centre of Estepona. 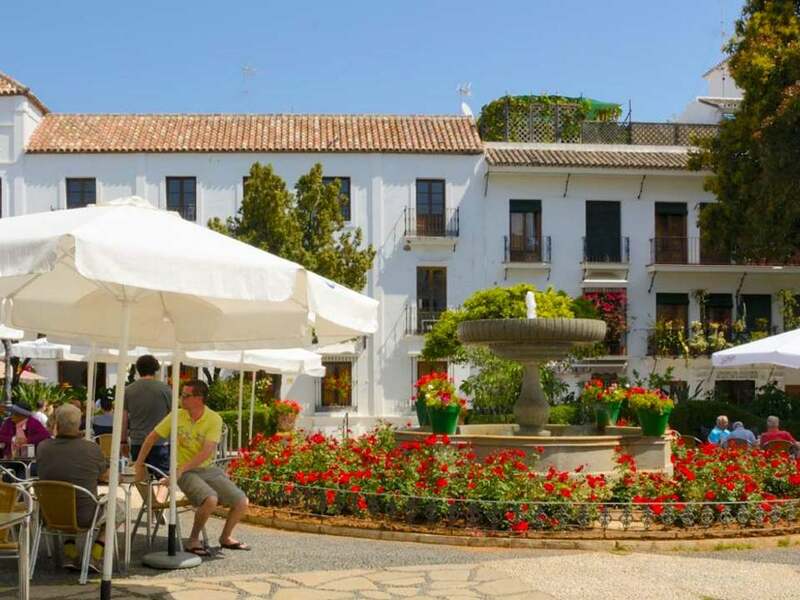 A short stroll can take you to the old town centre with its endless narrow, flower-filled, cobbled streets lined with white houses, so typical of Andalusian villages. The white-walled centre of this part is filled with traditional bars and restaurants that open early and close late, serving delicious food and drink. The charming marina is located to the west of Estepona, offering great nightlife and a popular Yacht Club where sporting activities such as scuba diving and sailing can be practised. The working local fishing port, to the west of the Marina, sees plenty of activity daily. 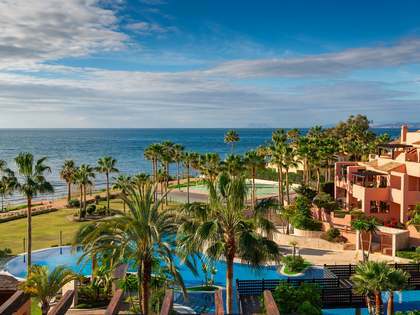 To sum up, Estepona real estate has a huge amount to offer property buyers. It is ideally located on the beachfront, within walking distance of great facilities and provides an excellent standard of living. The new high-end properties are being snapped up by a multicultural, international buyers looking for a high quality of life and great business connections. Estepona town's central location and great transport infrastructure provide easy access to Málaga, Gibraltar and Seville airport. There is the ideal balance between a dynamic, international atmosphere and the peaceful, laid-back Andalusian lifestyle. Lucas Fox offers friendly, honest and independent advice on a wide selection of Estepona real estate, ranging from contemporary apartments to large and exclusive villas situated in this fantastic area.